The elegantly designed iBeam is designed to attract users and encourage them to engage with your content. Having recently gone through a technology upgrade, this kiosk allows for the use of high definition images, graphics, animation and video that are immediately responsive and meet the demands of today’s extremely tech-savvy users. 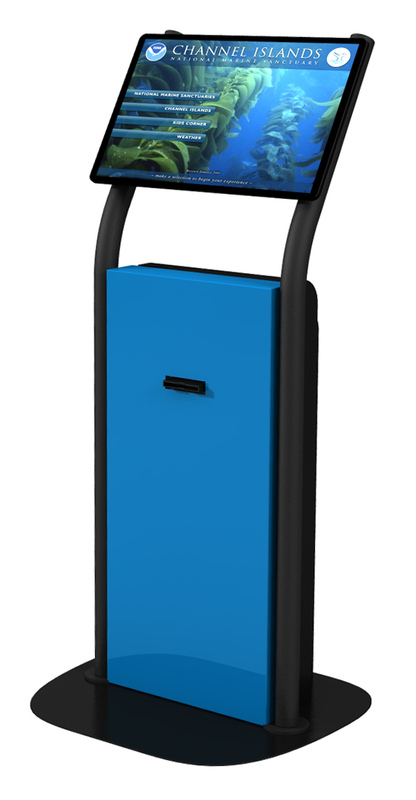 The iBeam also features an optional second 24” or 32” LCD digital signage display that can be used for continuously rotating advertisements, announcements, wayfinding information or a 24” static rear-illuminated light box.